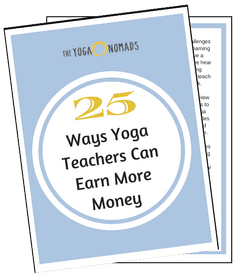 That means there are WAY more yoga teachers than yoga teaching jobs. In order to find solid teaching gigs, we need to stand out from the crowd. Marketing yourself online is the best way to stand out. Instead of feeding you to the wolves, we asked 14 popular yoga instructors for their best online marketing tips. 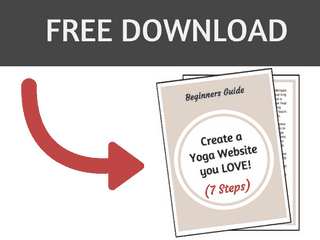 Alright, before we get started, be sure to download your free guide: 5 Simple Online Marketing Strategies to Skyrocket Your Yoga Career. 1) Stand out in the most authentic way! 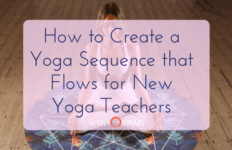 As a yogi in this day in age with an influx of new teachers, its important to find ways to make yourself stand out in the most authentic and creative way! Beautiful photos with a powerful message work well to inspire people to follow you and come and study with you! Have a clear message in your marketing… this will be your underlying values as a teacher. What inspires you to teach, why should people come and study with you? [color-box]Step #1 to standing out as a yoga teacher is to discover your unique niche. … and so, I love to get people inspired to share a post of them doing something that fills them up every day, something that every cell of their body says YES to! Sometimes I create a challenge where I will choose somebody at random who posted every day for a certain amount of time. I love the responses from people who have participated in this movement… they say that it simply inspired them to do what they love! So, have something fun and creative to inspire people to engage in! Another great way to market online and for people to experience you as a teacher is through a video webinar. I like to offer free webinars on different themes, this is a great way to build your list on line and have people experience you live! I hope this helps get you inspired! Whenever I give people insight to my feelings and emotions, whether I’m going through something emotional or good or bad, I find that it’s when I have the greatest response on my posts. 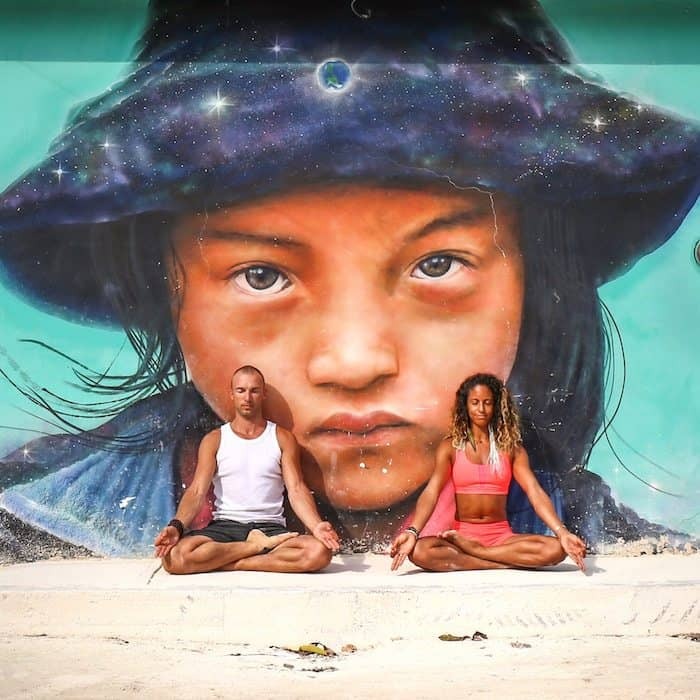 I’m a very open book and often times I will post about my relationship, the trials and tribulations of travel, and the struggles I have not only as a yoga teacher but to continuously be the best yoga student I can be. When you are authentic, honest and raw people know it and appreciate it. Everyone wants to know that they’re not the only ones who feel a certain way or struggle with certain things. I believe being honest and sharing builds connections. I try to make it a point to like connect with people that comment and constantly like my posts via Facebook and Instagram. I take the time to see who they are and what their page is about. Are they a new yogi or someone who is a traveler and who is doing interesting things. That is the key, and I mean be genuine in all senses of the word. If you’re commenting on people’s posts (whether they are from a challenge you are hosting or participating in), actually take the time to read their caption, and say something specific and individualistic. “Wow, I struggle with the same thing!” or “So inspiring! 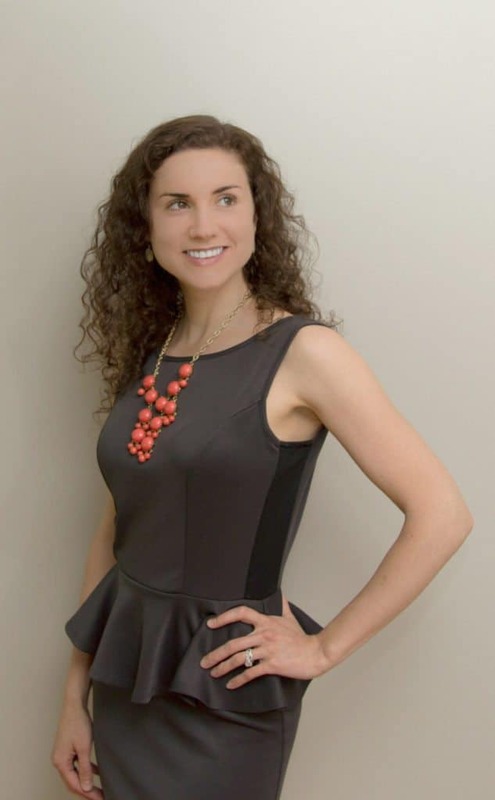 I can’t wait until that asana is part of my practice!” You may not be able to make as many comments (if you’re going for a work/life/social media balance), but the connections you make will be of higher quality. If you post a beautiful king dancer pose that gets ALL the likes, don’t be afraid to post the video afterward that is 2 minutes of you wiggling and wobbling to get into the deepest expression of the pose for 3 seconds so you could snap a picture. People like to hear that every handstand isn’t perfect, that I fall constantly, that I neglect my weak side (hence one of my first tags – #weaksidewednesday). Genuinely express your struggle and people will appreciate your success more. My page might look like 90% yoga, but if you read my profile bio, you’ll see I also love posting about pole, lyra, my 3 dogs, and tidbits of my life in Austin. I never want to be afraid to post those, and I’ve found that showing little glimpses of my life outside of yoga actually makes people happy and relate to me more. I’m also genuine in what I post about, regardless of whether or not certain people or groups will be disagree with or unfollow me. I am not a Vegan or Vegetarian, and I don’t pretend to be. Sometimes, I have a beer or two. Sometimes I miss a practice because I want to watch Netflix all night with my husband. And that’s ok. More than ok. It’s human, and if you’re trying to be something else, it will eventually overwhelm you and come crashing down. 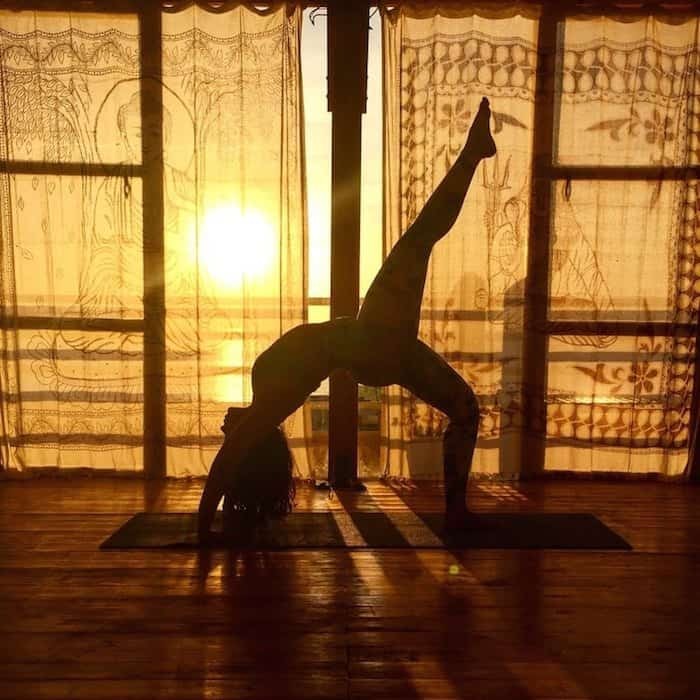 There are a myriad of small businesses on social media, especially in the world of yoga. Only represent products and brands that you believe in and would personally buy items from, whether the items were gifted to you or you actually purchased them. Accepting any and all free handouts in exchange for posts will swiftly turn your account into an infomercial. Purchase a few things that you love from companies you support for your own reasons, and then post some high quality pictures wearing the gear on your account. If you tag them, most companies will return the favor with a repost down the line. But always make sure it’s something you want to be associated with. And if you’re not into colorful yoga pants, all the fancy mats, and a mala bracelet to match every outfit, then no big deal. Don’t post about it. Not everyone will respond to it, but they have to respect you for it. Failing that, believe in whatever Self you want to be. 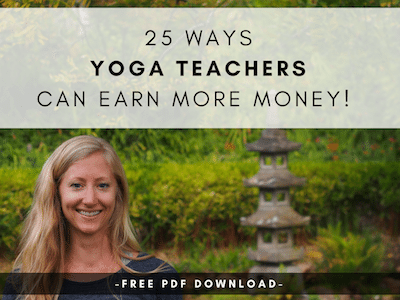 Many people in the yoga world have heard about Yoga Trade, a community for worldwide wellness opportunities and yoga jobs, but how many people have POSTED an opportunity offering? This is a great way to market yourself or your business and at the same time create an opportunity for someone else. 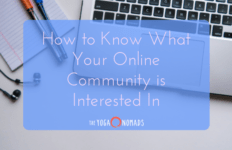 When you post a new opportunity thousands of people in the community will see it and it will go out in the Yoga Trade weekly emails, so just by posting an opportunity you will receive a lot of exposure. You can get super creative with the opportunities you offer. You can offer a paid job, internship, work exchange, business opportunity, product trade, or you can think of something completely outside the box. Examples: “Professional yoga photos wanted in exchange for private yoga classes” OR “New Eco Yoga Retreat looking for someone to start a permaculture program in exchange for free room/board/yoga classes”. There really are infinite possibilities! By offering an opportunity, you are not only gaining exposure to your own projects/business/website, you are also creating a transformational experience for someone else. Karma points! The more we give, the more we receive…..One of the best ways to market yourself is by making an OFFERING. You can learn more about the benefits of sharing your light here. My tip for all you yogis is about posting photos, which are a great way to continually drive attention to your page. Facebook works off of algorithms & there are a few ways to ensure your photos to be seen and liked by more people. A few great apps I love are “afterlight” (for great lighting & filters) & “over” for writing over pictures & “layout” for picture collages. Money is energy. You can promote your page, or boost an album, or post, to allow your content to be seen by more people for longer. Although you will often times gain more followers this way, what I love about this is that you are not paying for followers. Only people who are authentically drawn to you will check you out, and follow you. This is for Instagram. Instagram posts can easily be shared on Facebook. People can participate either on Facebook, or you can point them to Instagram whilst still sharing the posts from IG. If you want people to follow you, give them a good reason. What is it that you have to offer? Your unique message? Find it & then devise a way to share it with people. Create a class. Then pick a short, fun and informative hashtag to name your journey after. Decide the dates you will host the event, how long it will be & plan ahead… let people know a few weeks before, a week before and a few days beforehand when & what you will be doing. Lay out and organize the class you created to fill the amount of days you have chosen. The flow of days and daily challenges must flow and make sense. If you want people to follow you, give them a good reason. Many minds are better than one. Find a few others to join you. Don’t just pick yogis who have many followers. Pick people whom you are connected to; by purpose, message and path. It is good if they also have many followers, for the reason that more people will get to see and participate and benefit from your hard work. It is likely that people will participate in your journey/challenge if it is interesting and they will learn and grow from it, however it is always a bit of an incentive, and free advertising, if you can find a few sponsors. Pick sponsors that the people who are participating in the challenge would most likely love to receive a gift from. 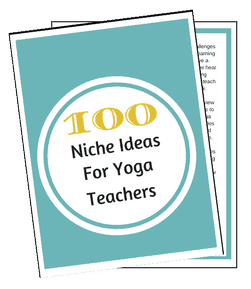 For yoga, some ideas are activewear, health food or drinks, books, music, mats, props, etc. Lastly, have participants share an image letting people know they will be participating. In the rules, they must follow each sponsor & host & they must tag them all in each daily post. This is for many reasons; not only will it let other people know what each participant is doing, it will point people towards you in case others wish to participate and it will also help you see and keep track of all posts so you can adequately pick a winner. One last rule is that each participant must post for each days prompt. Put your heart & soul into it, I promise your cup will overflow when you get to see each person participating and getting so much out of it!!! You never know what your hard work will lead to. Engage with your participants, get involved. It will greatly enrich your experience on IG. Engage with your audience and create beautiful content that expresses who you are and why you love to do what you do! 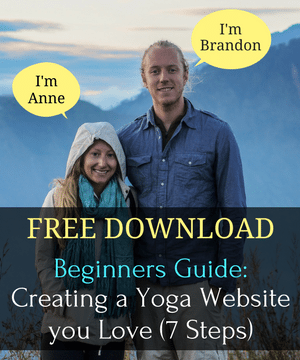 The first step to being an online yogi and having any type of presence is a legit, professional looking website. 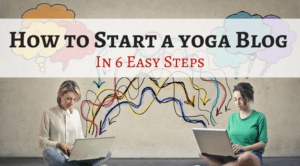 For most yogis, this strategy is scary as hell, especially if you deem yourself “technically challenged.” But hear me out – we’re in the age of digital living, where connections, friends, business partners, clients, and so much more happens. 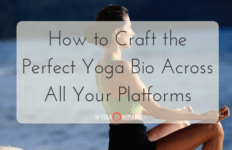 It’s crucial that your online space (website) mirrors who you are as a yoga teacher, yoga student, and person. If you’re brand new to the online scene – I highly recommend browsing through my blogging tips or researching articles via Pinterest, there’s a hella lot of information out there to help you! Don’t let yourself become frustrated, we’ve all been there, but instead – lay out a plan, work towards said plan, and then watch your online presence flourish! It takes hard work, commitment, and a few extra hours out of your time, but – the online world is full of beautiful, authentic people who are willing to help one another (both digitally and in-person). Stop waiting yogis, create your online space, represent your beautiful self, and as I like to say – be your most BADASS self! 18) Connect with the community! Share your peers’ best content on your social media channels. 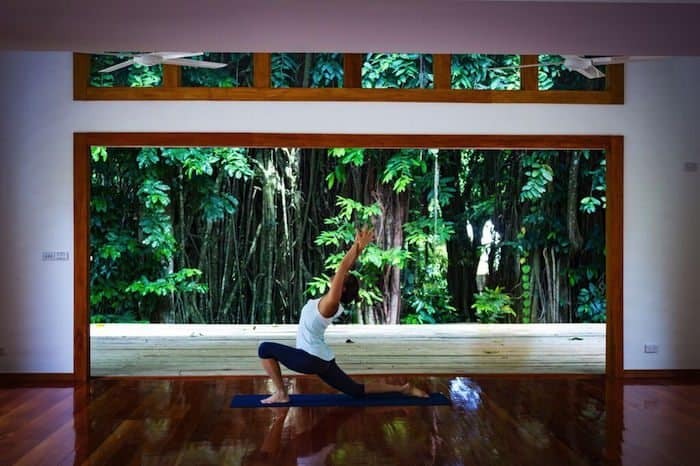 What always pops up for me first about what I truly love about yoga, is connection. The people I’ve met through this yoga world have made the journey worth more then money can buy. I met my husband through yoga & all my dearest most adored friends. So as our world via social media started changing & connecting I decided it was merely another beautiful opportunity to connect to more yogis. I was already a decade into yoga & not in my 20’s when I got on Instagram, so I wasn’t as familiar with the way yoga was being showcased. I just started sharing my journey in a very similar way I share these messages to my students & my community. For me, it’s another tool to share & deepen our connection. 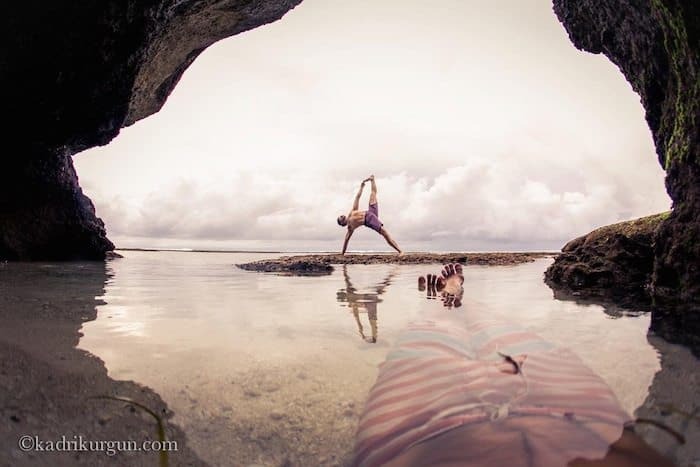 We yogis especially know, when we change the way we look at something that something changes. To choose to be inspired vs. jealous of someone, to choose to feel drawn and connected vs. unworthy or inferior to another. These are your choices. 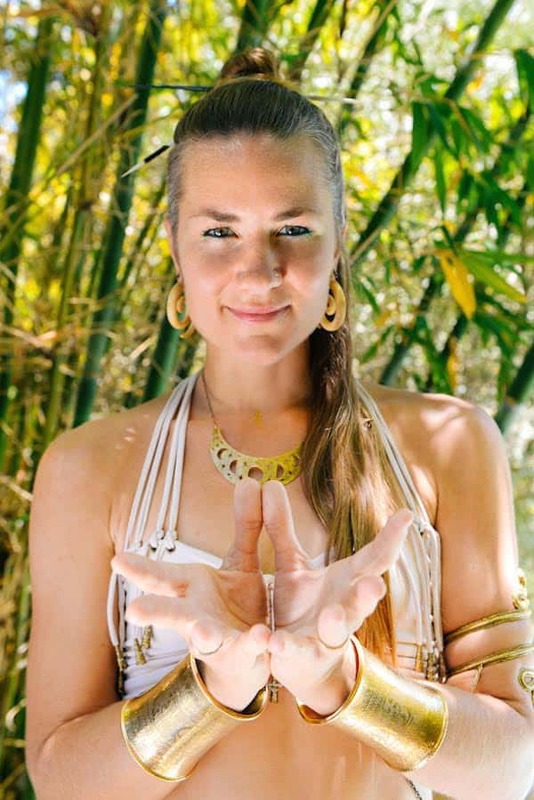 I love sharing my journey & I am so inspired to see so many people around the world following their bliss! We give one another strengthen to keep on being awesome!!! The unique positioning that sets you apart from every other teacher out there. This doesn’t have to be a big, bold differentiator. It could be as simple as the way you open or close class, the music you play, or the fact that theme your classes around poetry. It could be the style you teach, the way you speak, or just your personality! Once you discover your niche and uncover who you LOVE working with, it’s all downstream from there. I know that marketing can seem really uncomfortable for yogis. Therefore, I encourage the teachers to do both the inner and outer work to get in alignment with the result they are wanting. I believe that we don’t have to force ourselves to do anything we don’t want to do, but rather, can listen for inspired action. I have adapted a practice from Derek Rydell called 25 ways to manifest more and made it into 25 ways to market your class. Its an exercise in opening the creative mind from the ludicrous to rational. I then have the teachers tune into their body and select three that make them feel abuzz, or that they really want to do but they might be afraid – that indicates a great area for growth! Then, figure out the action steps. Take general ideas and get specific enough that you could do something right now! Social media is a marathon not a sprint. One post might reach a few people but two engaging posts every day at the same time gives your followers something to expect and a constant stream of content to view. Engagement is probably the single most important factor for growing your social media following. Think of it as a two-way street, you need to spend time interacting and engaging through comments, likes, follows and shares. More often than not people will reciprocate and share the love straight back at you. This is time consuming and can be tedious, however you will make a lot of great connections and if you consistently engage with your followers and new users on a daily basis you will have a steady loyal following on every platform before you know it. Any tips to add? Join the discussion below! Amazing share Anne and Brandon! Love your passion and persistence! Honored to be included. Really hope to connect in person one day. Maybe the Yoga Farm 2017? Yes, although I already feel like we are “real friends”….Face to Face > Tech to Face:) love and light!